Save the date! 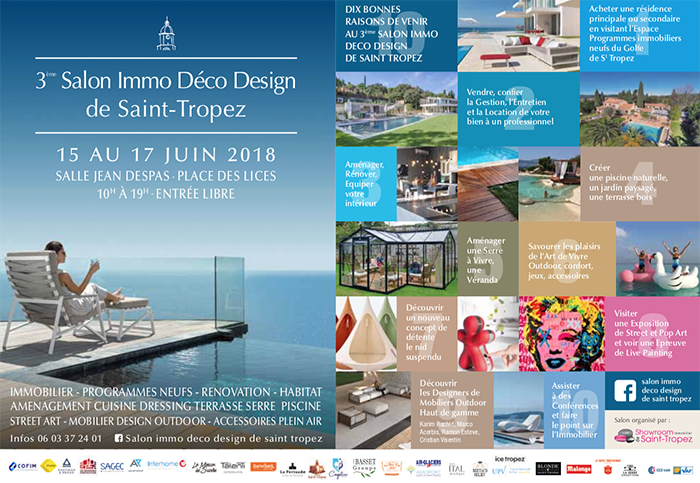 The real estate, design and decoration fair will take place from June, 15th to 17th during the 3rd Real Estate Forum which gathers all the real estate offer of the Saint-Tropez bay. 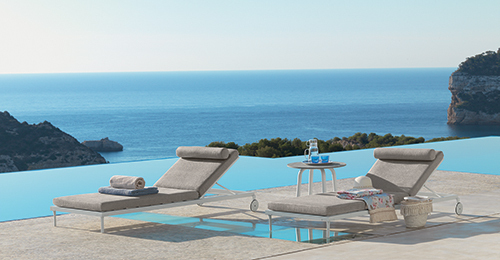 Also a new section dedicated to design, arts and crafts, indoor and outdoor furniture. You are an architect, designer, artist, home staging specialist, property developer, real estate agent, notary, lawyer, brokerage company, conciergerie, landscape gardener, art gallery, or simply looking for an apartment or a house on the bay, owner or manager of restaurant, hotel, beach club, store........ the Real estate, design and decoration fair is the only event that features at the same time the real estate and new trends regarding decoration, design for individuals and professionals. Thematic round tables featuring evolution of price per square metre, the increase of bank rates, etc.